Even today, many architects and building envelope consultants believe that termite and pest control is the job of the Pest Control Operator. But the days of spreading poisonous chemicals in and around buildings are coming to an end. 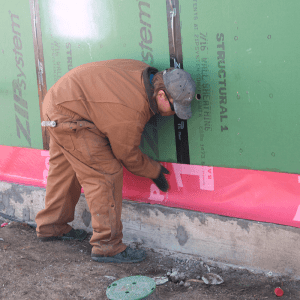 Once you think about termite and pest entry points as being all around the building envelope, you realize we should be thinking about physical barriers while the building is being designed and constructed. Physical barriers exclude the pests, reducing the need for pesticides. 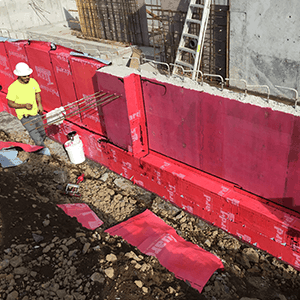 With the development of TERM Barriers, sustainable termite and insect exclusion can be built into the building envelope as part of the waterproofing and moistureproofing protection. TERM building envelope materials are familiar to those who design and install building envelopes. 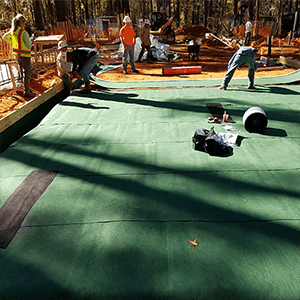 Most of the protection is provided by the waterproofing, which incorporates TERM Sealant Barrier. 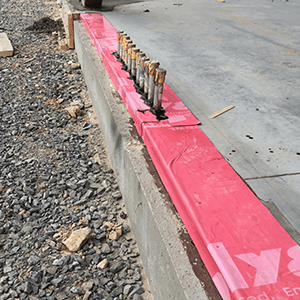 The sealant barrier seals moisture and energy leaks. Additionally, it seals out subterranean termites and other insects, using a proprietary non-chemical formulation proven by long-term laboratory and field university tests since 1999. Two additional innovative materials are detailed at 3-4 insect entry points which have typically been left open in building design. 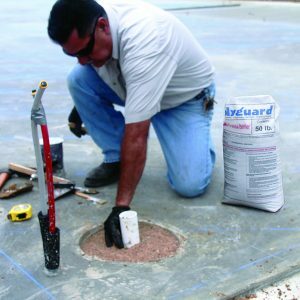 TERM Particle Barrier is highly specialized stone particles, of a size and shape proven by 60 years of U.S. and international testing to block passage by subterranean termites. This specialized stone termite barrier has been used since the 1980s across the Pacific Rim, including Hawaii and Australia. TERM Micromesh Barriers are specialized screens. Screening used around most structures today excludes many insects, but not smaller species. The most invasive and destructive insects, subterranean termites, require screen apertures no larger than 0.018" (1/55th inch). All other pests can be blocked by this barrier as well. Costs will increase moderately, however, if you specify only a vapor barrier, costs will go up to around $10/ft. 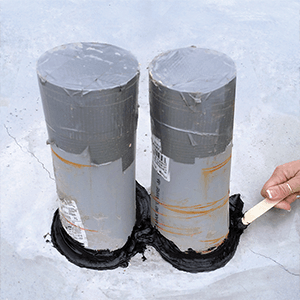 Peel and stick foundation waterproofing: cost will increase slightly 5% to 20%. Foam energy seal: costs will increase by at least $1/LF of perimeter. Peel and stick flashings: costs will increase slightly, around 20%. Heavy termiticide treatment at penetrations (which is typical): this will add a dollar or two per penetration, but future pesticide treatments will be avoided. Heavy termiticide treatment at bath traps and mop sinks is typical. TERM Particle Bath Trap Barrier increases costs a minimum of $30 per bath trap, depending on size of the trap opening, and size of the project.